Katiti has been teaching, choreographing and performing for over 25 years. Ms King is currently teaching at Barnard College , Mark Morris, Steps on Broadway and Gibney Dance Center. She previously taught at Dancespace/DNA since 1984. Katiti has taught throughout Europe, South America, Canada and Japan, as well as major dance festivals here in America, including Bates Dance Festival, Harvard Summer Dance, New York Summer Dance Intensive [which she co founded with Charles Wright]. Additionally, she has performed for many choreographers including Lynn Simonson, Adrienne Hawkins, Danny Sloane, Marlies Yearby, Sarah Pogostin, Guido Tuveri and Kraig Patterson. Her collaborative include choreography with Michael Foley and vocalist/musician Philip Hamilton. Katiti King brings an exciting and challenging movement quality to her class that emphasizes musicality and rhythm. Katiti’s choreography combines various dance vocabularies such as jazz, modern, and ethnic, and is inspired by jazz, soul, Latin and world music. In her class, Katiti guides the student to find a deeper awareness of the body and to experience free expression as an individual through movement. Sekou Heru, aka Tony Williams, has been involved in the performing arts since he was very young. His first love was B- boying. In high school, he attended Mercer County School of the Arts and studied modern dance. In 1993, Sekou started studying Capoeira Angola with Mestre Joa Grande at the Capoeira Academy in NYC. He went on to fuse his breaking and modern dance styles with hip hop and house dance. 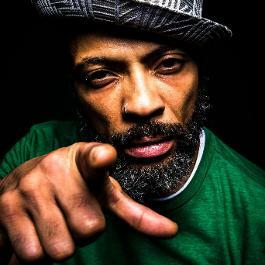 Sekou has worked with Gwen Guthrey, toured with Jazzy Jeff and the Fresh Prince, and can be seen in videos with Aretha Franklin, MC Lyte, Clubland, Pet Shop Boys, Foxy Brown, and Jay Z. Sekou was a featured dancer in the movie Marcy X with Damon Wayans, can be seen in the dance scenes on Spike Lee’s The 25th Hour, and seen in Brown Sugar starring Taye Diggs and Sanna Lathan. He has toured in Germany with German rapper Tony Cottura, and has traveled several times to Japan for the annual premier Dance Delight event as a guest judge and featured dancer with the group Dance Fusion, of which he is a founding member. He was a part of the opening act for Cece Peniston’s Japan tour, and also opened for Cool C's Let me clear my throat in his Japan performance. He was featured in Japan’s "woofin" magazine as one of NYC’s top dancers. Sekou toured the USA with Fred Ho and The Afro Asian Ensemble in the Martial Art stage show Voice of the Dragon. In 2005 Sekou choreographed the Dance Dance video for Fall Out Boy that went #1 in the country and won a Best Video Award at the MTV VMAs. Sekou’s unique style of teaching House dance borrows from other disciplines like Hip Hop and Capoeira Angola and incorporates calisthenics to develop stamina and high-energy movement. Get ready for a House dance workout – you’ll work on foundational House footwork drills, quadrupedal movement (floor work using your arms and legs together) and movement combinations designed to help you evolve your style and internalize the spirit of House Dance. Sekou’s method focuses on the development of stamina and high-energy movement. Powerhouse dance fuses basic calisthenic movements, *quadrupedal motion and high intensity cardio using House dance footwork drills and movement combinations. The system also borrows from a variety of dance disciplines that include Hip Hop and traditional Capoeira Angola. He teaches foundation drills designed to help the student evolve and internalize the spirit of House Dance. Arcell Cabuag is a Filipino American native of San Jose, California where he trained with Charlie McGowan, Debbie Wilson, Keith Banks, and Soozi Childers. In 1995, he moved to New York City and attended the Alvin Ailey School where he was first introduced to Ronald K. Brown and EVIDENCE, A Dance Company. Arcell enjoys serving the dance community teaching master-classes and setting EVIDENCE repertory to dance institutions including; The Alvin Ailey School BFA Program, the Dance International Program in Japan, Peridance's Certificate Program, Dance Attack Studio, the New Orleans Ballet Association Summer Intensive, and as the resident teacher and co-director of the National Choreography Institute. Arcell is currently a professor at Long Island University, (Brooklyn Campus) and a Co-Director of the Bedford Stuyvesant Center For Arts & Culture Youth Arts Academy Pre-Preofessional Training program/Restoration Dance Youth Ensemble. Arcell has assisted Brown in setting works on Philadanco, MUNTU Drum and Dance Company, Ballet Hispanico, the Alvin Ailey American Dance Theater, MalPaso of Havana Cuba, and was the associate choreographer for the Tony Award winning production of The Gershwins’ Porgy and Bess (Broadway and National tour). Arcell joined EVIDENCE in 1997 and was appointed to be the Associate Artistic Director in 2004. Arcell is a proud recipient of the 2004 New York Dance and Performance “BESSIE” Dancer Award. Classes begin center floor with an emphasis on alignment, rhythm and using the body to express ideas and themes: strength, prayer, and celebration. Classes for intermediate/advanced dancers begin with meditation and floor work that includes stretching and mind body centering exercises. Center floor work or barre work includes alignment and the introduction of the various dance techniques that are incorporated in the vocabulary of Ronald K. Brown/ EVIDENCE, A Dance Company. Phrases across the floor use influences from contemporary as well as traditional and social dances from West Africa, the Caribbean and the US. Soca dance is a joyful class embodying the movement and energy of West Indian carnival. The class starts with a short warm up of basic moves traditionally done to Soca music (wining and other body isolations), proceeds to fun dynamic dance moves across the floor, and ends with a sequence of choreography. This workshop will delve into the vibrant movements and rhythms of historically rich folkloric dances of Brazil. Participants will experience dances including Samba Afro + Samba through across the floor explorations, structured improvisation and center choreography, as well as embody movements that are revolutionary acts of resistance. Afro-Cuban Modern Dance is a dynamic fusion of Modern forms (Graham/Sokolo/Cunningham/Limón), and traditional sacred Afro-Cuban and Afro-Caribbean dances and rhythms. A fundamental foundation of Contemporary Cuban dance is that a dancer must be as strong in Contemporary styles as s/he is in Folkloric. Contextual Rhythms is an exploration from text to self and ancestral connections; that will be expressed through breath, voice, as well as traditional movements of the African Diaspora. This class will emphasize polyrhythm, poly-centrism, aesthetic of the cool, vocalization, and improvisation to tell our stories within community. This class will focus on discovering concepts and sequences that come out of Capoeira and House movement. By giving time to learn and practice pieces of these vernaculars across the floor, we will then play with them and explore how we can shift out habits and allow for new patterns of movement to flow. Participants have the choice of building their own choreography in our Choreography Lab or learning Company Repertory. These workshops will address ways in which to explore choreography of a sociocultural/sociopolitical nature through research, movement exercises, theater games, and personal reflection. It will focus on tools related to the art of creating and crafting socially conscious choreography in an engaging and approachable fashion. MOPDC facilitators will lead participants through some best practices for engaging in this subject matter, share processes in honing tactics through trial and error, discuss specific experiences and outcomes of exploring socially conscious choreography as both choreographer and performer, their experience in melding theme appropriate dances of the African Diaspora with Contemporary Dance, as well as expand the dialogue to the participants giving them the space to brainstorm for ways in which to include sociocultural/sociopolitical topics in their practice of dance making. Participants will be encouraged to continually discuss and reflect on their experience throughout the process, and by the end of their experience they will leave with the shared tools of the facilitators, their own tools, as well as their own short collaborative or solo choreographic work which will be shared in open public studio showing. Our company repertory classes will offer participants the opportunity to get a hands on experience in our process of creating socially conscious choreography while learning excerpts of our current choreography. Dancers will get the opportunity to perform these excerpts in our studio showing Monday, January 21st @ 7pm.